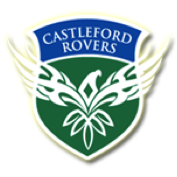 The primary goal of Castleford, which formed in 2010, is to ensure that we have sustainable age and skill-based competitive teams that offer our players the best environment to develop toward their desired goals. After years of watching teams fold, pairing of mismatched players with greatly different skills, intensities or desires, Castleford was created to help keep more kids playing travel soccer at a local and appropriate level. An outcome is also more competitive teams at every age. The Club’s professional staff has created a developmentally appropriate soccer curriculum focused on the athletic, technical and tactical skill development necessary to make our children the best soccer players they aspire to be. Regardless of a child’s ultimate goal in soccer, all of our players will experience some of the finest training in the area from a talented group of professional coaches.